That’s all, folks! 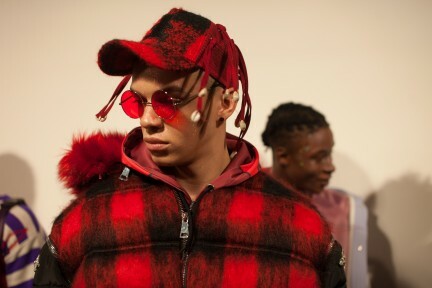 London Fashion Week Mens came to a close on Monday night, and Bobby Abley was the one to wrap it up. 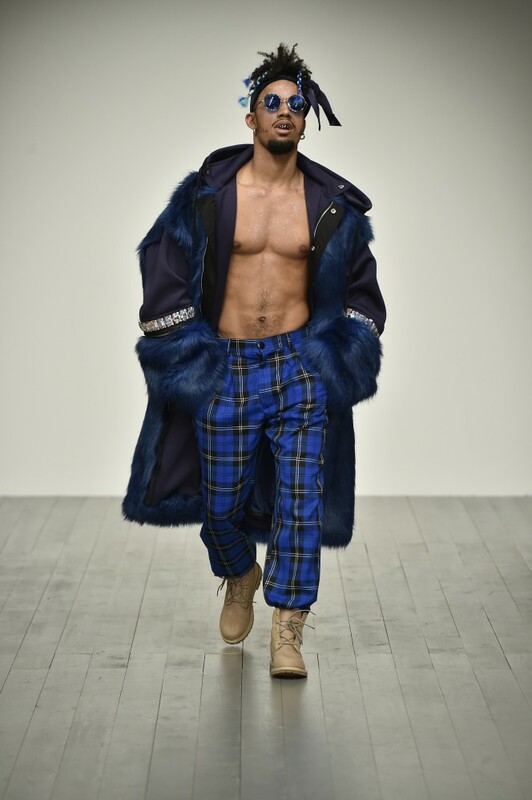 A guy who knows how to throw a party, he played us out with KillASon’s Hoddest in my Town and Maurice Tamraz’s remix to I Seen Beyoncé at Burger King, and models swaggered down the runway sprayed with a faceful of glitter. 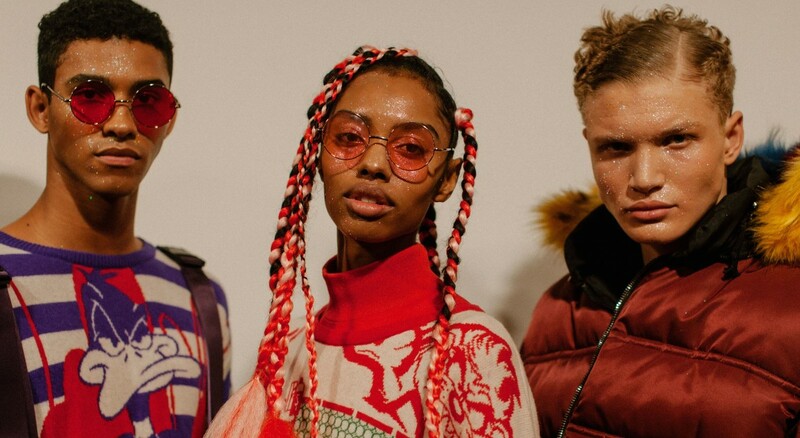 Abley shows no fragility in being nostalgic or weird. His clothing is always hyper-masculine, dominant and street-influenced, but surrealistically distorted through cartoon references. As one hoodie was embroidered along its back: “drugs can be beautiful things”. This season, his animated collaboration was with Warner Bros’ Looney Tunes. Marvin the Martian had his own sweatshirt reading “legal alien”, and Bugs Bunny ears and buckteeth were fashioned out of a bandana and gold grill. Bright faux furs appeared as trims, or integrated into silhouettes like second-skin. Abley called this trippy paradigm ‘Bobbyland’, a place where everyone is welcome “both international and interplanetary”.